Joel is one of those natural, born-into-the-life kinds of winemakers, five generations in the making. I read that in 1971, his mom and dad started Montevina in their basement. His dad co-founded Corbett Canyon and was the first cellar employee at Sterling Vineyards, where he went on to be general manager and winemaker. Joel’s wife, Sarah, was the winemaker at Joseph Phelps and Quintessa Wine before joining him in their own family ventures. So wine is pretty much in his blood. In 1993, Joel and his brother, Duncan, bought the Palisades Market in Calistoga, transforming it into a provider of gourmet prepared foods and fine wines. Through this trade experience, Joel realized the need for affordable fine wine in the $15 range. So, in 1996, he scraped together enough money to purchase several tons of Amador Zinfandel grapes from his boyhood neighbor and friend, Tom Dillian. He and Sarah (his girlfriend at the time) made the wine, and Joel Gott Wines was off and running with an Amador Zin. Praised by Wine Spectator, Wine Advocate and The New York Times, this Zinfandel put Joel Gott Wines on the map. 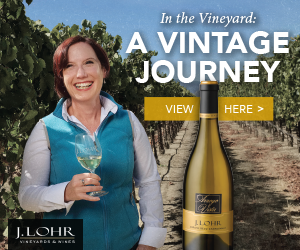 The success of the 1997 vintage allowed Joel to purchase fruit from 12 different vineyards throughout Northern California in 1999. Joel and Sarah originally intended to produce single-vineyard Zinfandels with these grapes, but found during tastings that the wine was much more balanced when blended. They adjusted their plans and released their first California Zinfandel — it sold out in one week. They now make a unique line of wines with entries from California, Washington and Oregon. 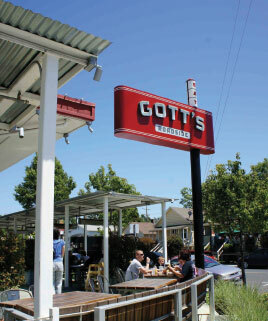 In ‘99, the two brothers leased the closed Taylor’s Refresher, a landmark burger joint in St. Helena, and changed the name to Gott’s Roadside (they got some flak for that). It was wildly successful so they added two more, one in Napa and one in the Ferry Building in San Francisco. Next time you’re in the area, stop in for a real treat! In 2003, Joel branched out with Charles Bieler and Roger Scommegna to create Three Thieves, a wine company devoted to quality wine for a fair price. “The Master, The Explorer and The Dreamer, three rogues whose love for the vine is rivaled only by their belief that great wine is not a pleasure reserved for kings, but rather a privilege of life, a bounty to be shared and enjoyed by all” is one of their sayings. The first release was a Zinfandel bottled in a retro glass jug with a screw top. It proved to be a huge hit, so they followed it up with jugs of Cabernet and Chardonnay. 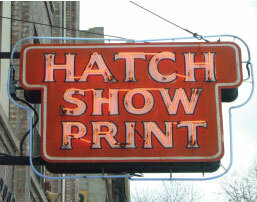 In 2005, the Three Thieves partnered with Nashville’s Hatch Show Print, to create another crowd-pleasing favorite, The Show. The catchy labels were designed by Hatch to emulate the colorful poster designs that have been a staple of the American entertainment landscape for more than 125 years and have been used to promote appearances by the likes of Johnny Cash, Louis Armstrong, Hank Williams, Patsy Cline and countless other iconic luminaries. The Thieves went eco-friendly in creating Bandit, a line of premium wines in lightweight, eco-friendly and re-sealable Tetra-Pac boxes. 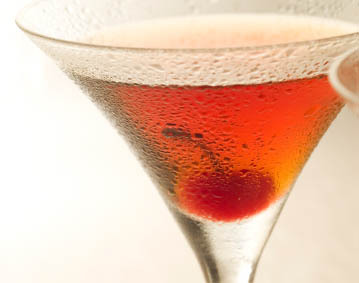 “Wine innovation — that the consumer can see, at least — has not been that prolific. 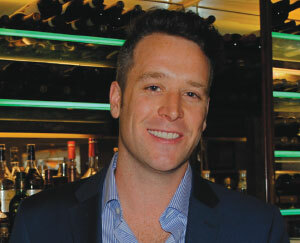 But that’s changed with Bandit, in that it is good wine that is good to go, as well, in innovative packaging.The younger generation and the current wine trends are showing that consumers are interested in environmentally-friendly packaging and that they have a willingness to experiment,” says Joel Gott. 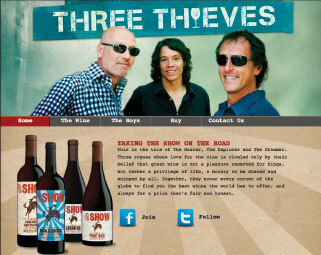 In 2005, Three Thieves partnered with Trinchero Family Estates for the marketing and distribution of their wines in order to establish better market coverage. In 2009, Joel and Sarah also partnered with Trinchero Family Estates to use their professional services and allow the Gotts to focus on winemaking and innovation. Joel’s latest project is his partnering with Napa Valley winemaker, Dave Phinney, of Orin Swift Wines and Trinchero Family Estates to produce Shatter, a French Grenache. The name Shatter is a nod to the extreme viticultural conditions in the Maury vineyards in the Roussillon region of France where the wine is made. The inaugural vintage of Shatter was a 2010 Grenache, with the 2011 now available. ITM: I see you have a Pinot Gris from Willamette Valley, Oregon and a Riesling from Columbia Valley, Washington. It’s nice to see that diversity. Can you touch on how you got into those out-of-state wines? JG: We drink wines from those regions and we love the style of them. Since there are no rules in the wine business, we thought why not? ITM: ALAKAI, your Rhone-style blend – how did you get into that and what does the name mean? JG: My love of inexpensive Rhone wines that are Grenache and Syrah-based is what got me into it. Alakai was the name of Sarah’s dog at the time. 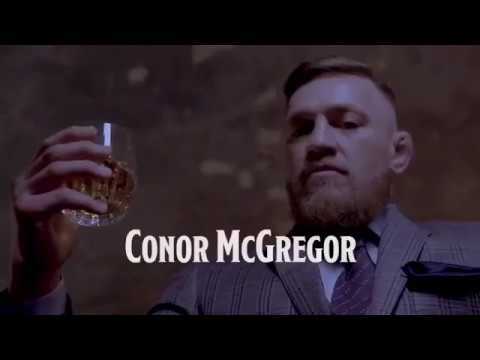 ITM: You have a wonderful un-oaked Chardonnay, one of my favorites of your wines. Can you give us a little insight on that wine? JG: In 1999, I went to the Mornington Peninsula in Australia and was inspired by the un-oaked Chardonnays I found there, so we started making it from Atlas Peak in 1999. It has evolved into a Napa, Sonoma and Monterey blend in the last 14 years. 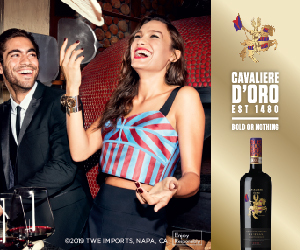 ITM: Is Zinfandel your best seller? It’s what got you to the dance, right? JG: Actually, our 815 Cabernet Sauvignon is our best seller, but the Zin did get us to the dance. ITM: Your Sauvignon Blanc is stellar. 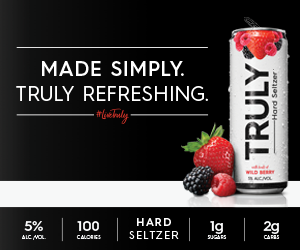 Clean and crisp with perfect acidity. The last time I tried it, it reminded me a little of a New Zealand SB. Thoughts on that? JG: We always inspire to model some of the great New Zealand Sauvignon Blancs with our winemaking style, but put our own California twist on it. ITM: You source fruit from four different countries for these wines. Global brands are becoming more and more popular by sourcing indigenous grapes from famous wine regions and giving them a home under one label. Are you considering any others, such as a New Zealand Sauvignon Blanc for example? JG: At this point we are not, but in the future we would like to work more in France. ITM: Can you tell us a little about how you came to use a Hatch Show Print label? JG: Our partner, Charles, was inspired by the rock and roll posters that Hatch has been making for the last 100 years. If you’re ever in Nashville, you have to check it out. ITM: Most of our customers are hotel and restaurant F&Bs; what would you like to say to them about using The Show wines on-premise? 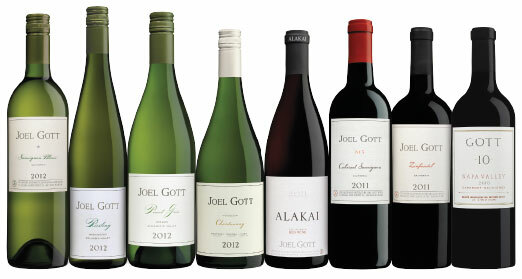 JG: There are very few wines that deliver the diversity of the wines that we are now making with the Show brand. ITM: You established a successful partnership with the late Paul Newman, a true film legend and philanthropist, by introducing a line of wines under his popular Newman’s Own brand. Did you get to meet and do business with before he passed? JG: Yes, we met him at his restaurant and had one other meeting with him to taste the wines. For being 82 at the time, he was unbelievably sharp, witty and very direct. 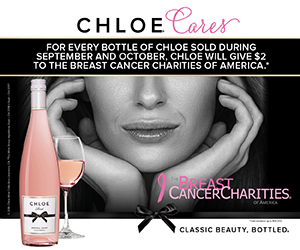 ITM: Do you make the wines for the label? JG: No, we do not. ITM: What does it mean to have grapes shatter? JG: It is a viticulture term describing flowers that are knocked off during bloom. For each flower that is knocked off, there is one less bloom. For each one less bloom there is less fruit, so the fruit that makes it is more concentrated. ITM: How did you get involved with this Grenache project in Maury, Roussillon? 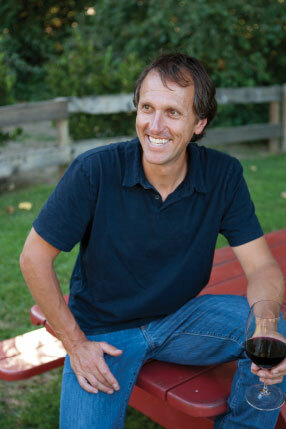 JG: My good friend, Dave Phinney, has been making wine in that region for some time. He was the one who introduced me to it and I fell in love with the region. ITM: The landscape looks rough — crazy-looking, free-standing vines in nasty-looking schist soil. They must struggle. Does this make the concentration off the hook? JG: Yes; because of the extreme growing conditions and the soil, the fruit is extremely concentrated. ITM: You’ve done a great job on all of the websites. 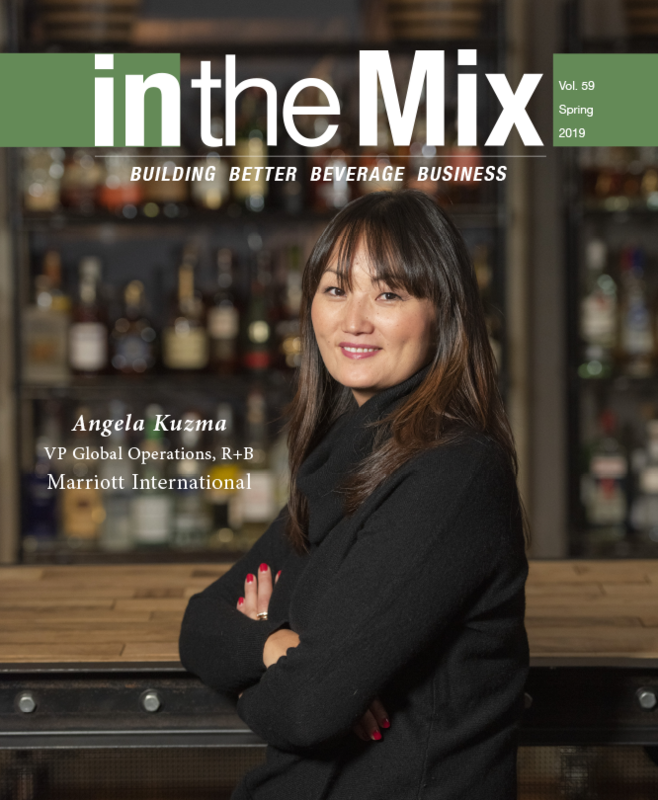 Love the videos – we play them on our in the Mix website and people love them. Seems like you’re having fun, but it must be a lot to handle. JG: The videos are actually pretty fun to do and they’re a great way to get out information on the wines without having to read. We try and mix it up a fair amount and go to different locations, but yes, we have to be pretty efficient about it since time is pretty valuable with my schedule. I’m glad to hear you like them … I never know who even sees those things!